Fermented ginger carrots are delicious and so easy to make! Only three ingredients (carrots, ginger and salt) are required to make this healthy probiotic food. Peel and trim the ends of the carrots. If using organic carrots just rinse them thoroughly. Cut the carrots into large chunks. 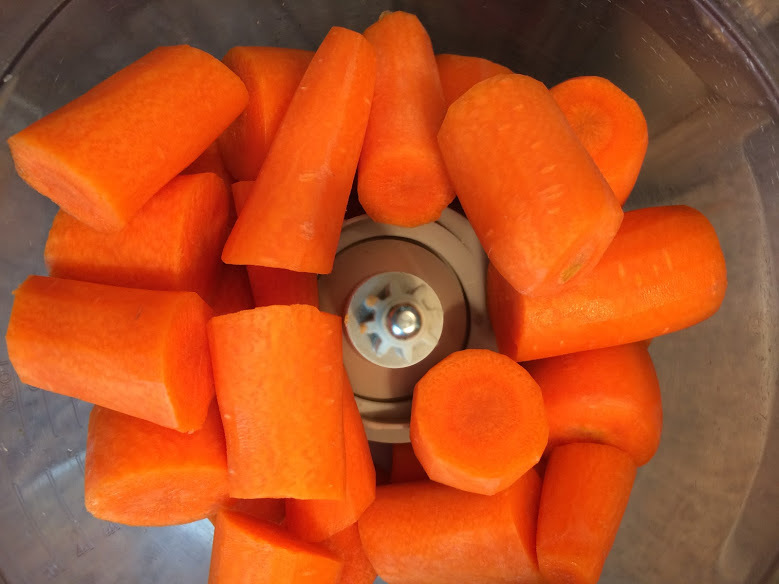 chop the carrots and ginger in the food processor until desired size is reached. 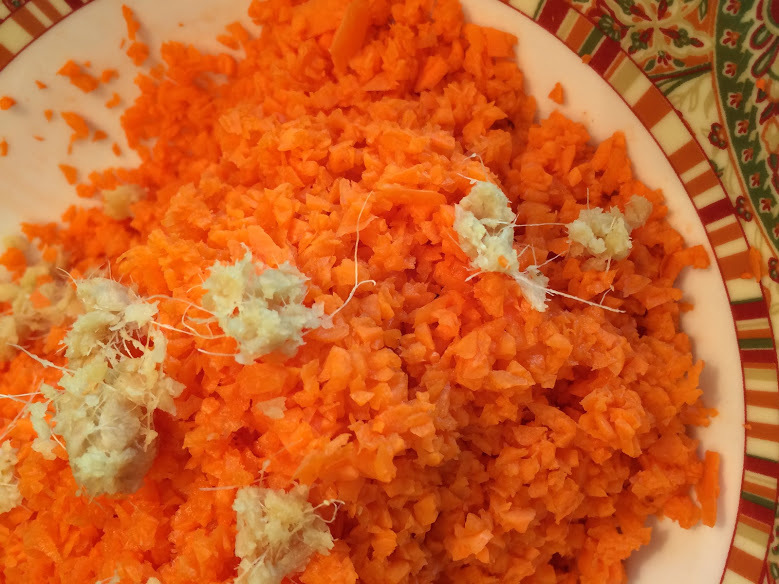 if you don't have a food processor finely chop or grate the ginger and carrots. transfer the carrots and ginger to a large bowl and mix in the salt. blend well with a large spoon or your hands to spread the salt evenly throughout. fill the jars: pack the carrots into the jars pressing down to make room for more. Leave a little space at the top. fill a small jar (that will fit in the opening of the large jar) with water and put the lid on. Place the jar on top of carrots to help keep the carrots packed down. Add enough brine (water and salt) to complete cover the carrots. Cover the jar with a clean kitchen towel or cheeze cloth (I used gauze) and place on a plate or tray. Keep in a dark area until ready...7-14 days. taste test in 7 days. After 14 days of fermentation The results are in! I checked the carrots every few days and added brine (sea salt and water) as needed to keep them completely covered. This recipe is perfect...Just the right flavour and texture! This recipe, by Steph Gaudrea, is taken from Stuideasypaleo.com. Click here for the recipe.